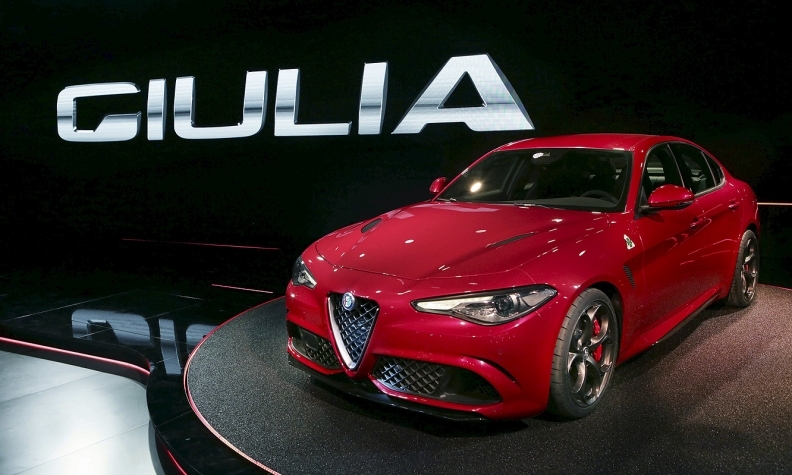 The Giulia is the first of Alfa's new product lineup. Alfa Romeo's global expansion is being re-examined because of the Chinese market's slowdown, said Sergio Marchionne, CEO of Alfa parent Fiat Chrysler Automobiles. Marchionne said the continued weakness of imported luxury vehicles in China has forced a reassessment of FCA's strategy for its struggling sporty brand. FCA stands by its plan to boost Alfa's annual global sales to 400,000 in 2018, the CEO said. But a large portion of the volume projection that had been assigned to China would have to be absorbed by other regions, including North America and Europe, Marchionne told analysts on FCA's third-quarter results call on Wednesday. Marchionne said Alfa "still belongs in China" but the volume projections for the brand there are not achievable under current market conditions. Alfa will need to "rejig" its plans to focus on launching cars that are more ideally suited to Europe and North America rather than China, he said. The revised sequence likely will be announced in January, he said. Alfa sold fewer than 70,000 cars last year, mostly in Europe. Its current lineup comprises two core models, the Giulietta compact and MiTo subcompact, along with the limited-production 4C sports car. The brand's first new model will be the Giulia midsize sedan. Giulia sales will start before the end of the year led by a high-specification Quadrifoglio launch edition that will start at 95,000 euros in Italy. Other new cars under development or under consideration include a midsize SUV, a midsize coupe, a large sedan,a large SUV, a new compact family and a roadster.